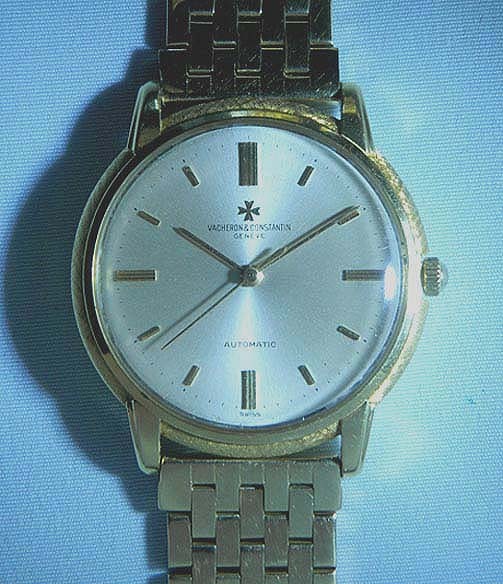 Fine large Vacheron and Constantin 18K and 14K gold reference 6394 automatic screw back vintage wrist watch circa 1959. 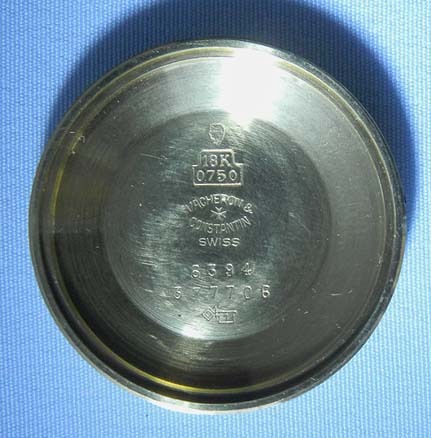 Original silver dial (light age) with applied gold markings and gold hands. 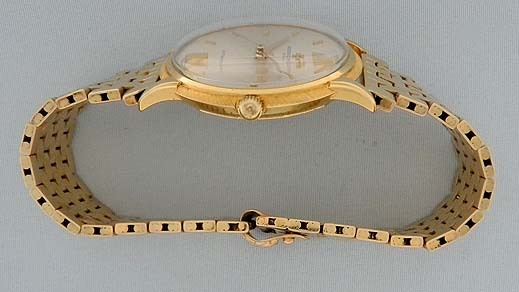 Watch case is 18K gold. Brickwork 14K band signed Vacheron & Constantin. 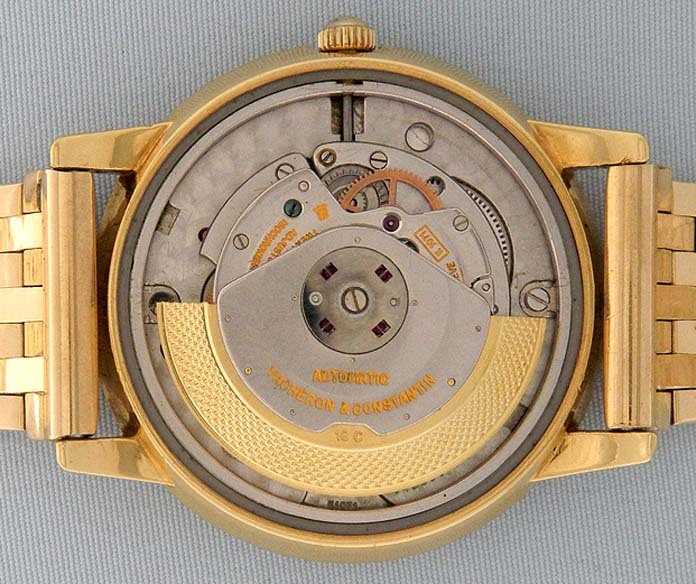 Fine 29 jewel movement with 18K gold rotor. Handsome. 7.5 inches long overall.